Ever since L.A. Noire offered access to new missions, outfits, and modes via the “Rockstar Pass” in 2011 other developers have been tempting players to pay money for content that they won’t receive for weeks, months, or even a year. While not everyone is against this idea, it’s no secret that a lot of gamers are bothered by this new business model that seems to mostly benefit publishers and not the players. Bioshock Infinite was released in March of 2013 with a season pass costing $20; a good deal considering that buying the DLC individually turns out to be $35. What makes this particular example interesting is that players were in the end satisfied with what they received, except for the fact that the very last piece of content wasn’t released until an entire year later. While early adopters did get a few neat extras at first and a Clash in the Clouds combat mode four months later, the meat of the season pass content wouldn’t arrive until November with Burial at Sea – Episode 1. And Episode 2 not arriving until March 25th, 2014 didn’t sit too well with players who had to wait so long to receive their promised content. Most players aren’t too happy about the idea of downloadable content being available on the day of the game’s release. If it is already completed, and many times on the disc itself, why wasn’t it just included with the rest of the game? Instead you have to pay more for content that is already finished and ready to be enjoyed. Mortal Kombat X released with six add-ons, all of which would be perfectly acceptable to have as unlockable content within the game instead of having to pay extra. This includes the ability to do Easy Fatalities as well as characters like Blue Steel Sub-Zero and Goro. The big problem people also had was the Kombat Pack that promises four future characters and skin packs for $30, which is basically half the cost of the game itself. Remember when part of the appeal of Mortal Kombat was unlocking new characters just by playing the game? Rocksteady has been receiving a lot of flack lately for their $40 season pass promising solo story missions, advanced challenge maps, and other exciting content. The promise was that players would get a steady stream of DLC content for six months after the game’s release, yet here we are three months later and the DLC support has been quite underwhelming. Rocksteady today did reveal the ability to drive the Tumbler from the recent Batman films and a skin for Batman that lets him wear the suit he wore in Batman: Arkham Asylum more than half a decade ago. As expected, players aren’t too thrilled about receiving only new skins after ponying up $40 for the season pass. This announcement shows the problem developers and publishers find themselves in. If they work on DLC early and have it available on day one, players are angered by the idea of paying money for something that is already completed. At the same time, players are being asked to purchase a season pass without any details whatsoever on what they will receive. Why Not Release DLC For Free? Worth noting is that Rockstar Games had no season pass or paid DLC for GTA V—everything they have released has been free. And while most would say that Rockstar can get away with this because of the incredible fortune their latest game brought in, it nonetheless makes other developers look bad. Even Nintendo, another company with cash reserves to spare, has done the same with Splatoon. A slow but steady stream of content in the form of new maps, weapons, and modes has released since the game launched, and players love it. Splatoon continues to have a very active (and growing) fan base—would things be different if Nintendo charged for their extra content? It’s clear why publishers are a big fan of season passes. It’s a great way of earning extra bucks near the launch of the game and convincing players who were only going to buy some DLC to grab it all. 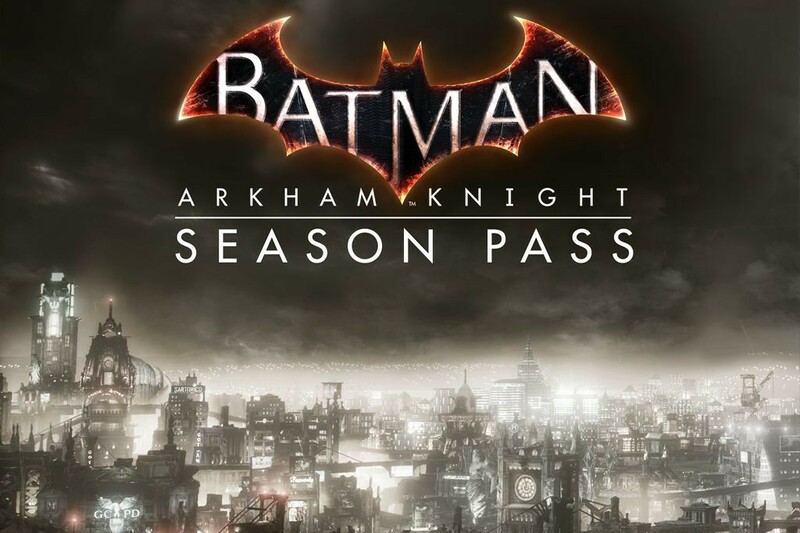 With games getting more expensive to develop it’s no surprise that more developers are offering a season pass. Season passes are also perfect for people who were already planning on getting all the DLC anyways, no matter what it would be. However, it wouldn’t hurt for developers to put more effort into the content. If you’re going to charge $20-40 for a season pass, it better not just be boring stuff like new skins and maps. Players want to feel rewarded for supporting a developer by paying for content early. But like we mentioned before, players aren’t helping when they complain about DLC content releasing early enough that it could have been part of the original package. But like Bioshock Infinite, we’re confident that players will be left satisfied with content (even if it takes a long time) as long as it was worth the wait. Gearbox Software and Telltale Games are other great examples of this as they have had great success with their season passes and DLC content.